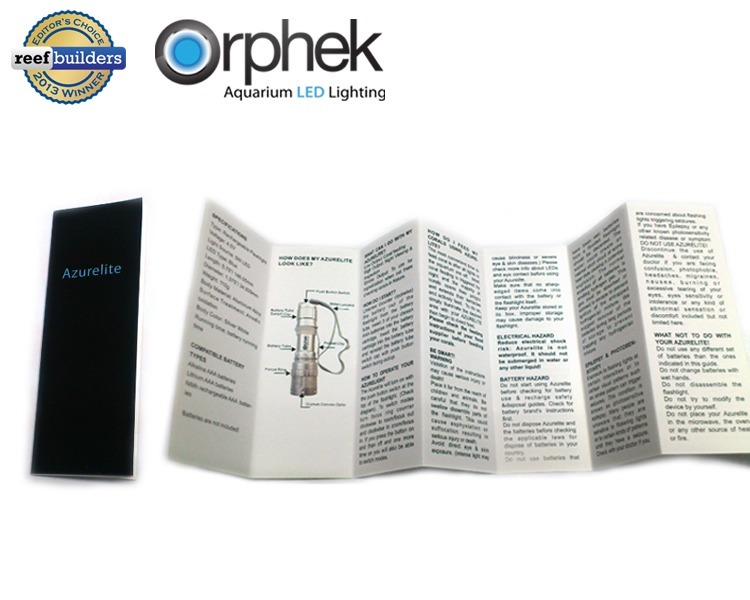 The hottest LED product available right now. 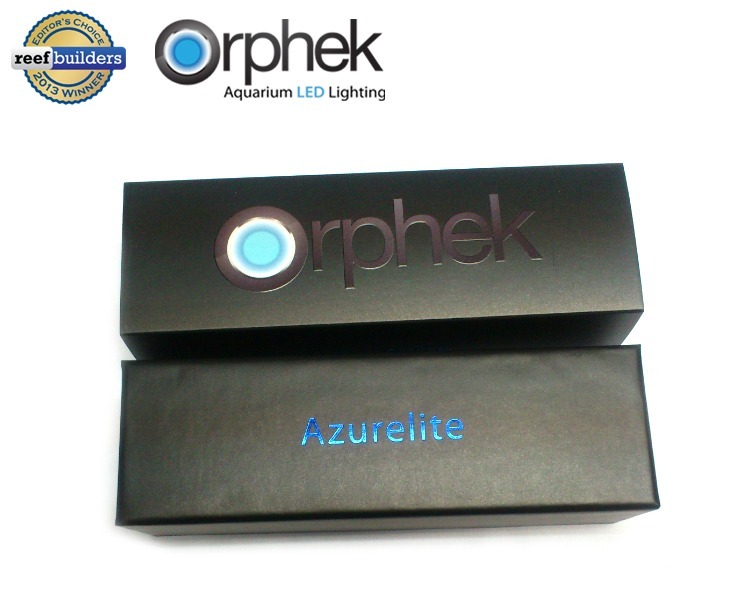 Azurelite is Orphek’s high performance blue LED multifunctional Flashlight designed specifically for coral night feeding, colors & health checking and illumination. 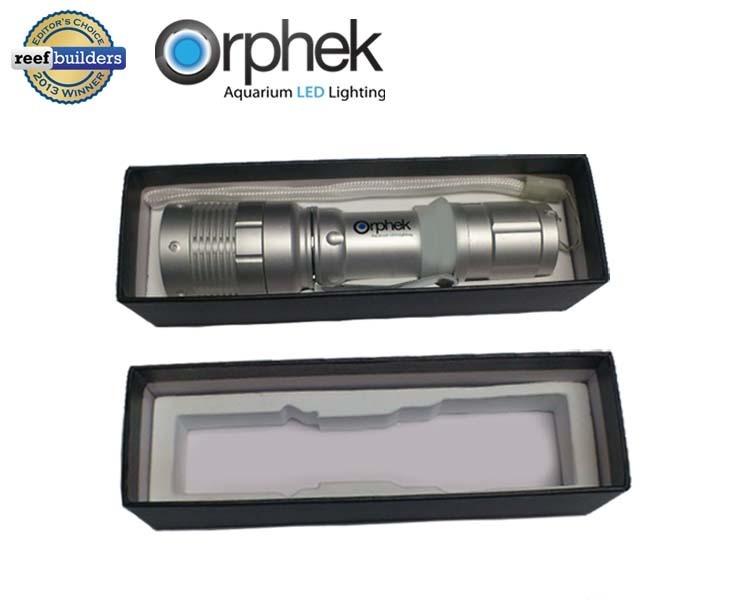 Features: High Luminance, Powerful Focusing Beam, Orphek Signature Convex Optic, 5 Watt lifetime blue light LED and 3 functional modes. 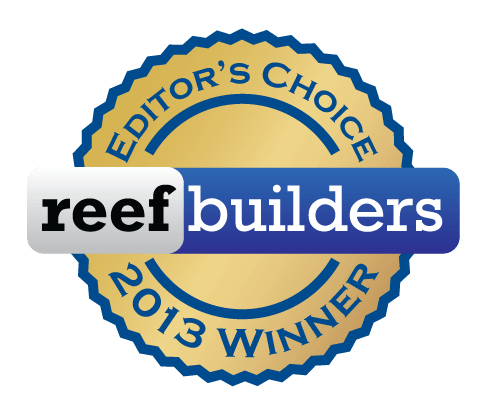 Azurelite in its original black edition is already a winner of Reefbuilder’s Editor’s Choice Award 2013. 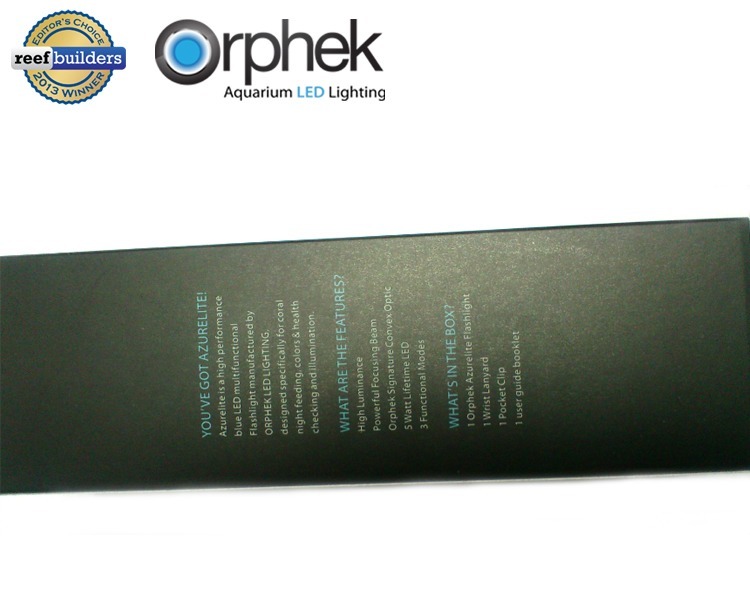 This year Orphek decided to give more exclusivity to this product by launching it in a new enticing silver white version. 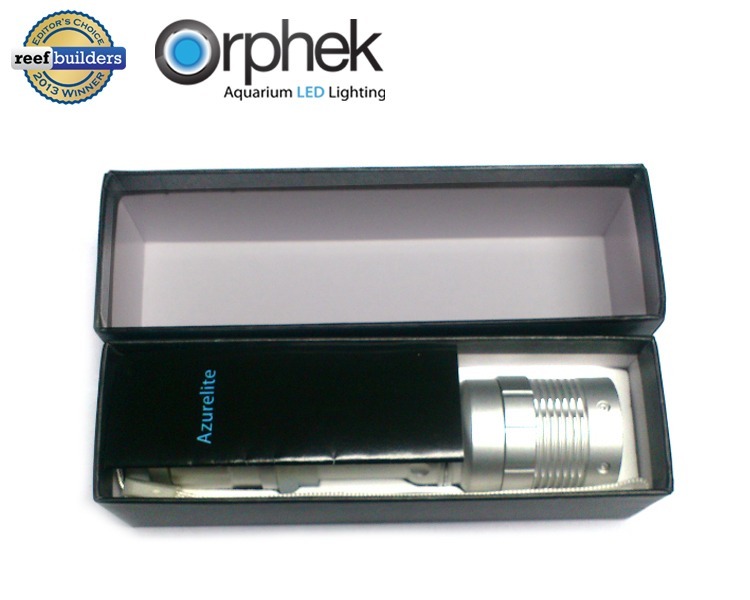 Azurelite is the only white Led torch available in the market today! Orphek has also improved Azurelite’s packing. 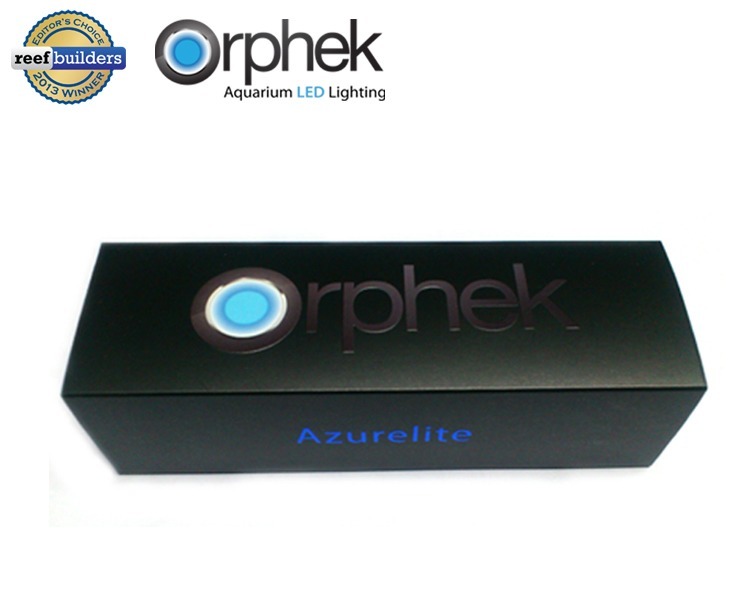 Now it comes in a deluxe matt black gift box with an embossed & varnished Orphek logo so it became a super cool gift/gadget to give to a reefer! 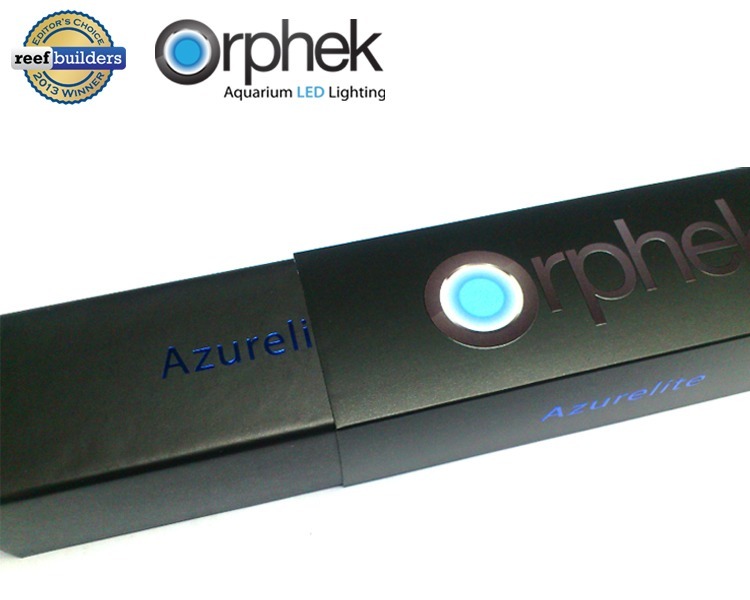 “…The color of the AzureLight is spot-on and its the first flashlight we keep handy for more frequent night time visual aquarium raids than ever before”. Reefbuilders’ website has been excelling in providing news and information about the saltwater aquatic industry since 2006.